New England native Emily Sapione began her career at 23 as a Merchandising Manager with Bassett Furniture overseeing eight stores where her affinity for forecasting and following trends of interior design became an obsession. After a brief hiatus of starting her family, Emily went back to Bassett as a Design Consultant. In that role, Emily uncovered her inner salesperson and it has been part of her ever since. 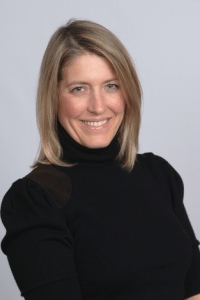 Most recently, at Trovare Home, in Greenwich, Connecticut, she built a wide array of relationships with professionals throughout the industry. When she’s not working, Emily & her husband Bill can be found at the beach, on the ski slopes, or at the Bronx Zoo with their two sons, William and Walker. She also volunteers time in her community and with the Cub Scouts as a Den Mother.